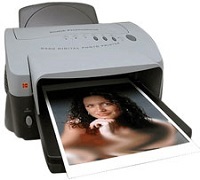 Kodak Professional 8500 Digital Photo Printer Driver, Calibration Utility and Firmware Software for Operating Systems. Kodak Professional 8500 Mac Calibration Utility (Mac OS 9.xor Mac OSXwith Classic mode) – Download (1.7MB). , and filed under Printer Drivers and tagged 8500 photo printer, kodak 8500 driver, kodak 8500 firmware, kodak 8500 printer driver.